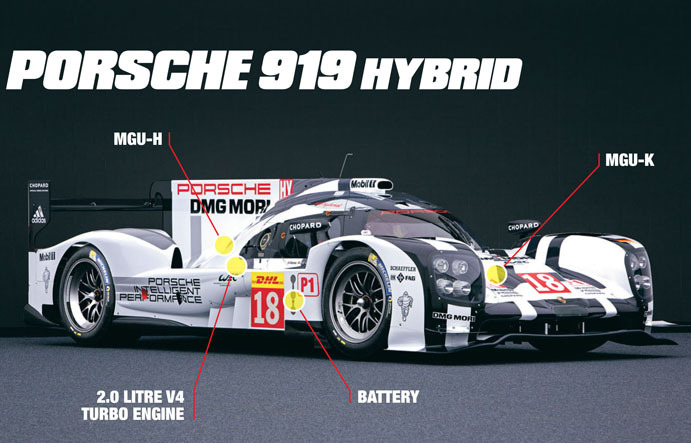 The official FIA WEC website brings us a quick reference guide to the class of 2015 LMP1 cars. 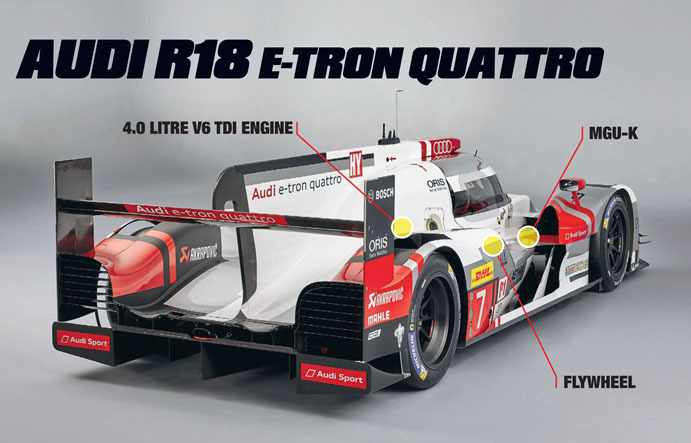 This year we have representation from Audi, Nissan, Porsche and Toyota. 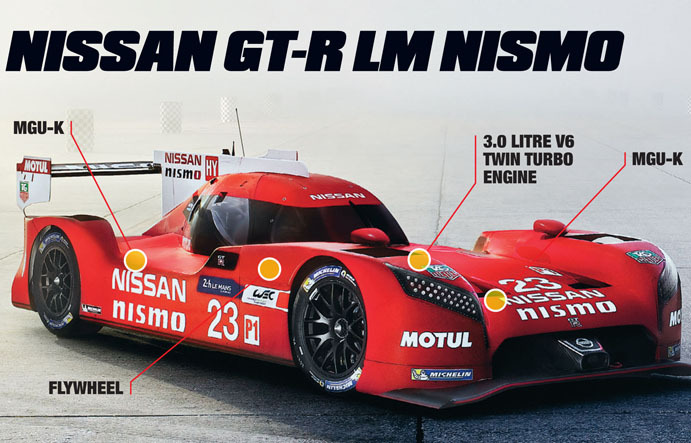 And the best thing about LMP1 is that the cars are all different. Front-engined, mid-engined; rear wheel drive, front wheel drive, all wheel drive; petrol, diesel and all with varying types of energy recovery systems. It really is a technological masterclass, which will eventually heavily influence the cars we drive on the roads. In order to try and equalise performance the cars have strict fuel flow limitations they must adhere to. That is, each car has a capped amount of fuel it can use on a single lap, using the 13.6km Circuit de la Sarthe as the basis. 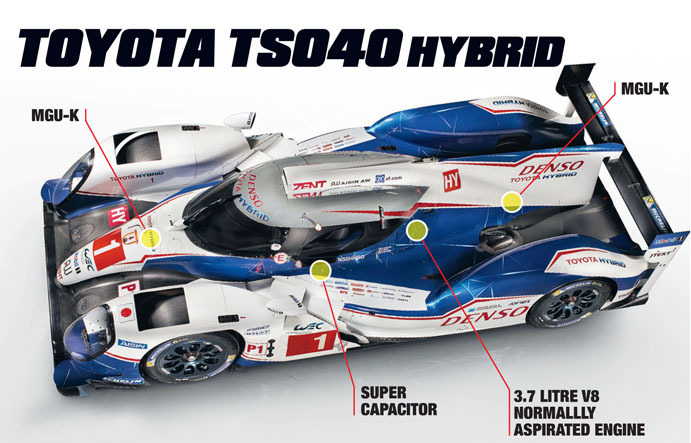 You can download a full season PDF guide (54mb) from the WEC website, which goes into greater detail. After the break a quick reference guide is all yours. The 2015 24 Hours of Le Mans will take place on the weekend of 13–14 June, with an official test session to be held this Sunday. MJ: Mega Joules, so 1 million joules. (so 1.34 hp over a second), 8 MJ = 10.738 horsepower over a second.